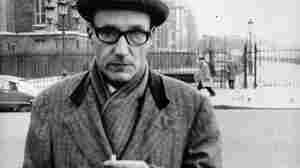 William S. Burroughs NPR coverage of William S. Burroughs: News, author interviews, critics' picks and more. February 5, 2014  The Beat Generation icon was a magnet for artists, musicians and wannabe hipsters. In a 1985 interview, the author credited his most groundbreaking work to the fallout from his wife's accidental death at his own hands, saying, "It was an event that ... made me into a writer." Burroughs died in 1997. October 8, 2009  Once the center of an obscenity trial, William S. Burroughs' novel is a dark, wild ride through the terror of heroin addiction and withdrawal, filled with paranoia, erotica and drug-fueled hallucinations.